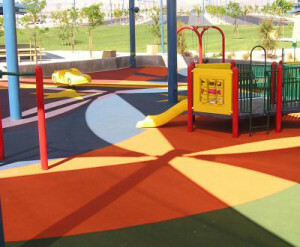 We offer guaranteed 2 primary types of playground surfacing solutions. 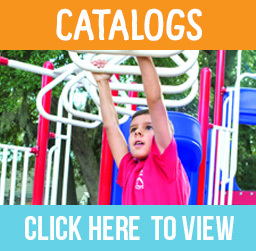 They range from a budget friendly option that requires replenishment, versus a more permanent option that costs more but is low-maintenance. 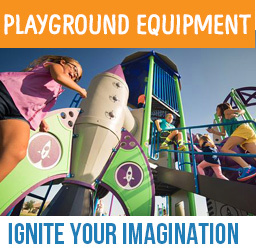 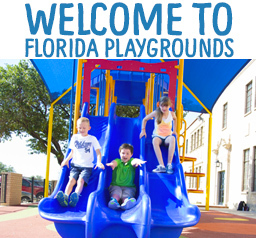 Loose-fill materials like engineered wood fiber (wood chips) are cost-effective, traditional playground surfacing favorites because of their excellent shock-absorbing properties when installed and maintained at appropriate depths. 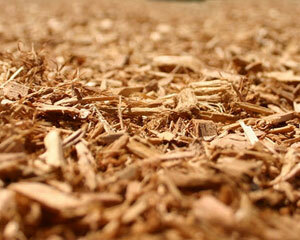 Because of the organic makeup, you’ll need to budget to top dress the mulch every 2-3 years up to 50% of the material. Unitary playground surfaces are smooth, seamless, uniform surfaces like rubber Pour-In-Place surfacing, Bonded Rubber, and Synthetic Turf. 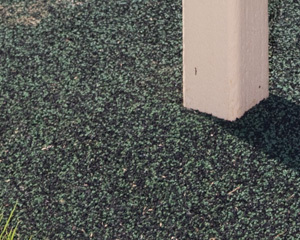 Typically more expensive than loose-fill materials, products like poured in place rubber and bonded rubber can only be installed by factory installers. 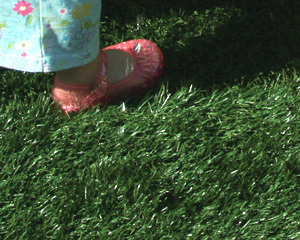 However, the maintenance on these products is considerably less than loose fill materials. 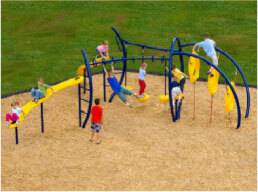 Unlike Loose Fill Surfacing, Unitary surfaces stay in place and don’t get kicked out at the bottom of slide exits or under swings.